First things first, we must apologize for our sudden and rather unannounced hiatus these past two weeks. Technical issues, the holidays and personal lives have been wrecking havoc here in the RW ranks. This month will be extremely short for RW - we are only posting twice this month. Our next post will announce our YouTube Coordinator, so please keep an eye out for that. Rebellious Writing will then go on an official holiday hiatus from December 17 - January 6. We will be using this time doing some major housekeeping stuff (as well as keeping our sanity during the busy holiday season). In the time between this bulletin and our last one, we have made several improvements to our "Let's Contribute" form and added a few new policies. Several conservative readers asked us to add in discretionary notices for magical content, and we've also tightened our book suggestions to just YA. This particular bundle was stuffed with some false intelligence, and we definitely wanted to curb that. Another thing that is new is that we've changed from using a Goodreads button to linking the book title to it's respective Goodreads page. So, if you want to learn more about the book, just click the title! These reviews were placed at the drop-off point between September 1 - November 14, 2017. Without further ado, let's check them out!! 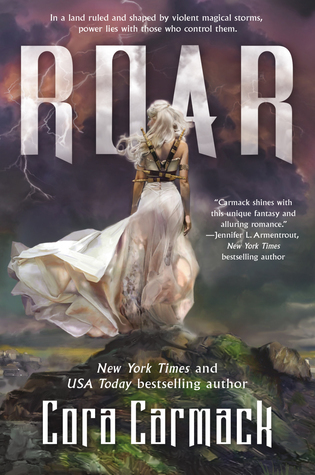 Roar is a fairly new release in the fantasy genre. It takes place in a world of dangerous storms where gifted people called "stormlings" can fight and control them. It follows an ungifted princess named Aurora. 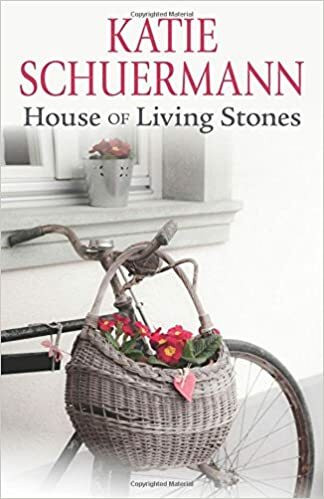 I rated this book at three stars because of romance author Carmark's tendency to write an unsettling kind of lustful relationship between her characters. Little to no verbal consent is given throughout the story and her male characters come off as aggressive more often than not. I enjoyed the universe and the unique worldbuilding, but the romance gave me red flags throughout. 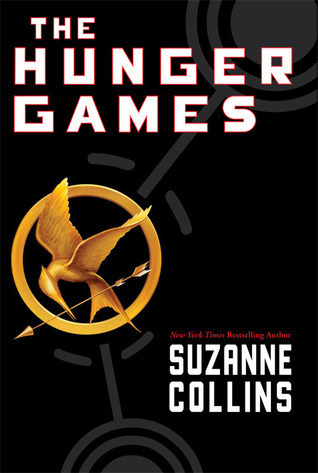 "The Hunger Games" is an intriguing story set in a dystopian future where the government, in order to ensure complete control, forces all twelve Districts to send two of their children to compete in a vicious Game where there is only one survivor. Sixteen-year-old Katniss Everdeen lives in District 12 with her mother and beloved sister. On Reaping Day, the unthinkable occurs. Her sister, Prim, is chosen to compete in the Hunger Games. Katniss instantly volunteers to go in her sister's place, and, with the second tribute, Peeta Mellark, they travel to the Capitol. In a deadly battle for survival, Katniss must decide who to trust, and, more importantly, how to emerge alive. Negative elements: the Hunger Games forces children to fight to the death. It is a dark concept, and certain parts are quite violent. Also, in order to gain crucial items from sponsors, Katniss feigns a romantic interest in her fellow tribute, Peeta Mellark. While there is nothing explicit, there is a good amount of kissing. 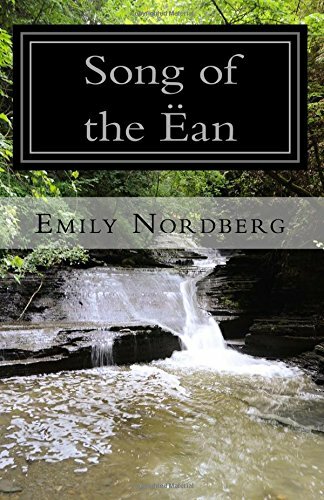 Days after Holmes and Moriarty disappear into the waterfall's churning depths, Frederick Chase, a senior investigator at New York's infamous Pinkerton Detective Agency, arrives in Switzerland. Chase brings with him a dire warning: Moriarty's death has left a convenient vacancy in London's criminal underworld. Chase is assisted by Inspector Athelney Jones, a Scotland Yard detective and devoted student of Holmes's methods of deduction. The two men join forces and fight their way through the sinuous streets of Victorian London in pursuit of this sinister figure, a man much feared but seldom seen, who is determined to stake his claim as Moriarty's successor. Riveting and deeply atmospheric, Moriarty is the first Sherlock Holmes novel sanctioned by the author's estate since Horowitz's House of Silk. This tale of murder and menace breathes life into Holmes's fascinating world, again proving that once you have eliminated the impossible, whatever remains, however improbable, must be the truth. (abbreviated from Goodreads) My thoughts: this book is amazing. :) Very little language (only a couple instances of d--n), and no romance at all (except for some indirect references, which is why I gave lust four stars). There is violence, but handled very well. 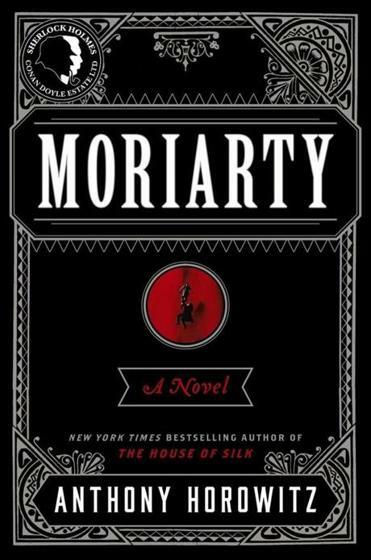 All in all, "Moriarty" is perfect for all Sherlock Holmes fans. It is written in a style very similar to Sir Arthur Cohan Doyle, and is definitely one of my new favorite books. I loved the crazy adventures of the book. There were a lot of laughs with Ginny and the strange people that she met on her travels and a few tears at the thought that Ginny's aunt had died. The only thing that I wasn't so keen on was the brief making out scene and one of the very, very minor characters being mentioned as a homosexual. But these moments were not graphic and were very, very briefly mentioned. Overall, a good read. Medomfo is a teen girl who loves sharing her faith in any way she can, especially through her writings. When she isn’t writing, she’s either composing music, helping children with their classwork, doing a lot of research on her interests or studying for school. This was probably the last time I'll read this satisfying but dark conclusion to the Harry Potter series. I was honestly shocked by how adult it was--I can't believe my ten-year-old self read it! Content Warning from RW Team: This book, as well as all the rest of the Harry Potter books, has magical content in them that conservative readers may be disturbed by. Specifically, the use of witchcraft (a practice viewed by the Catholic Church and Protestant churches as an offense against the First Commandment, and therefore evil) is viewed as a positive good. Though, it does say that love and good are better than evil. Review provided by: Raevyn O. She's a teenage author who wants to improve the world, one content rating at a time. You can find her on Goodreads HERE. This is a sweet, fun, sometimes thought-provoking look at life in a small town. I laughed many times while reading this, and got tears in my eyes a couple times too. Emily Duke arrives in the small Illinois town of Bradbury looking for a fresh start. She's got a new job at the university there, and Zion Lutheran Church hires her as their choir director. At Zion, she encounters a staggering number of odd, eccentric, quirky, or troubled individuals. She finds herself attracted to Zion's bachelor pastor. The organist decides to feud with her for reasons Emily can't fathom. One of her fellow professors keeps asking her out for coffee. She gets a pet rabbit. It's non-stop excitement, I tell you! I've seen this book compared to the Mitford books by Jan Karon, and that description is fairly apt, though I feel like this is a bit edgier than the Mitford books I've read. By "edgier" I just mean there's a character that others suspect of being gay (he isn't), and there is a lot of gossip about many different people and subjects. So much gossip. Which is portrayed as being bad and wrong, at least. "Song of the Ëan" is the story of a bored, spoiled young prince who goes on what should be a routine trip to collect tribute from an island province, only to become embroiled in its people's fight against an oppressive governor. Over the course of the story, we see him change from a shallow, self-centered youth to a mature, brave, and generous man. It's a remarkably believable character arc, and by the end of the book, I had grown very fond of him, even though at the beginning, I didn't like him much at all. The ëan are the rebel forces, named for the eagles that assist them occasionally. Their leader, called Auria, is a fierce young woman with a keen understanding of strategy, a compassionate heart, and a peerless mastery of hand-to-hand combat. She gets her own beautiful character arc, and of the two main characters, she was by far my favorite. 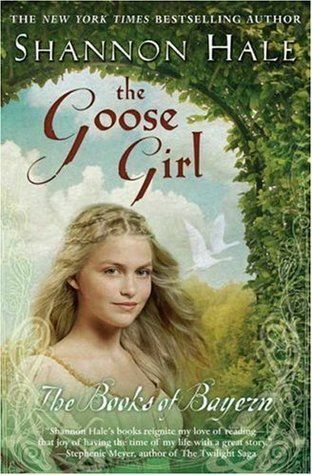 The Goose Girl is based off the identically-titled Grimms brothers fairy-tale (which is one of my personal favorites), and very well-based as far as being true to the original goes. The book is a rare fairy-tale retelling that does NOT twist the story until it's unrecognizable, does NOT include sensual themes or feministic viewpoints (the most reference to body or bodily lust you hear of are a couple of select jokes or insults from one of two villains and a brief reference to the slightly immodest dress of performers at a fair - both of which are viewed as crude) , and does NOT include any actual swearing, but does have a couple of side characters who use unrefined language: no swearing, but along the lines of referring to unpleasant or gross things in their conversation. No abuse or drugs and such in it; there is a reference to a child-marriage, but this is because it's in medieval times. The descriptive style of it is splendid, and the hero (who, unfortunately, you don't meet until later) is an ideal Prince Charming who is striving to do his very best. The only criticism I might have is that the villains can be rather crude occasionally; they are, however, not present in a majority of the book. Overall an amazing book, and I would definitely recommend it. 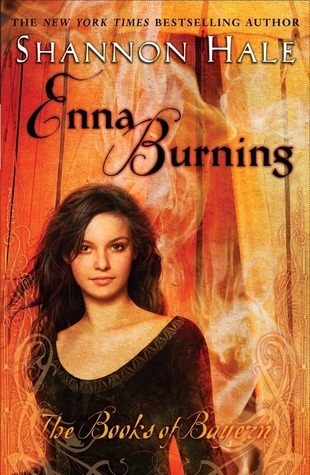 Enna Burning, being the sequel to the outstanding book, The Goose Girl, was picked up by me with high expectations. Those expectations, however, were dashed to pieces like surf over a cliff. The language was, as in The Goose Girl, free of swearing, but rather more unrefined. I had expected as much, though, since it was starring a side-character, Enna, who had a sometimes rude sense of humor in the first book. Then there was the lust-level. After the innocence of The Goose Girl, where the worst thing was one of a random crude joke from a villain, this was an electric shock. Not only were innuendos scattered throughout, but cohabitation was viewed as very casual and normal in it and there were two scenes of extremely sensual and even explicit content. Not only this, but while there was no abuse of any kind in The Goose Girl, Enna Burning featured a temporary love-interest character who gets rather close to abuse in his dealings with Enna (though she allowed such behavior at least until a later point). And this was letting alone the writing, which changed profoundly in Enna Burning. I couldn't believe that they were even written by the same author. Ani, a character who in The Goose Girl showed a good deal of common sense, stability and humility in character became erratic, hard-headed, occasionally sarcastic, and very feministic in Enna Burning suddenly. And Geric, the main attraction of the first book was featured so sparsely in the second book that I had trouble even remembering if he was in it at all. Not to mention the changing of the characters of Finn and Razo - both originally mostly innocent boys were changed rather into edgy characters in this book. Enna herself irritated me in the first book, I'll grant, but in the second one she was almost intolerable. I would not for any reward recommend this book, especially if you enjoyed the first one. I am Belle Anne, a Catholic homeschooled highschooler who is in the midst or writing novels, short stories, poetry, and even a musical and two operas. I want to help the cause of clean writing as much as I can - I have even for the most part foregone reading YA because I want to boycott it. But, if we might be able to get clean YA out there, I want to do all to help. Thank you for making this move for real literature! Most of the books that has been reviewed here and in our other book bulletin have been put on a shelf on the Rebellious Writing Goodreads page. Please feel free to give your own Rebellious Writing reviews for these and other books that you come across! 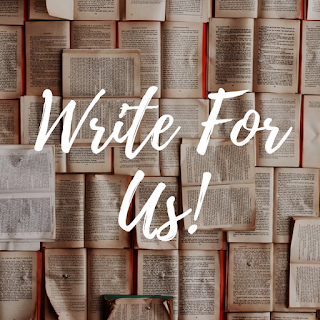 For those that have submitted guest posts, we will be emailing you within the next couple of months for final scheduling and edits that we may need. 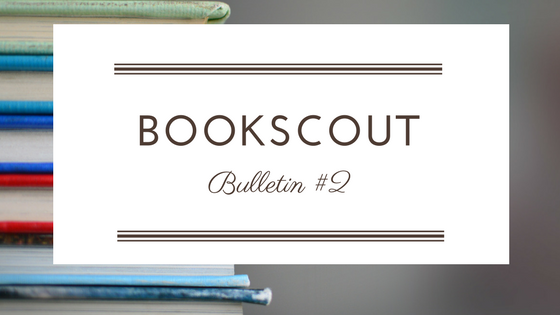 Would you like to be a book scout? Check out the Collaborate page under the Mission header! We look forward to receiving more intelligence from y'all! Thank you, fearless leader :) Definitely! Thank you Ivie! We're all alive (and sane, at least for the moment). Yay!! Oh, Moriarty sounds really good! I have been reading a lot of Sherlock Holmes this year, so I should try that. My sister really enjoys reading Doyle's Sherlock Holmes stories...I might have to check out Moriarty for her! Totally have to read Moriarty now. Sounds absolutely amazing!